VIP seats are the only ones of their kind anywhere around in East and Central Africa, Imports from APM automotive holdings in Malaysia. They boast superior quality nappa leather,supportive lumbar and seat cushion, supportive leg rests which are adjustable and the seat reclines to an impressive 120 degrees just like a dentist's chair. 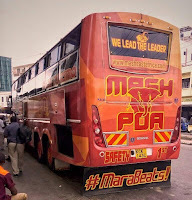 Leg room is not an issue as all Mash poa buses and mash cool nitro KCF have just four seats per bus after the passenger door. The Gemilang has Six VIP seats instead of four because Gemilang enables a lot of legroom on allowance of the front door. 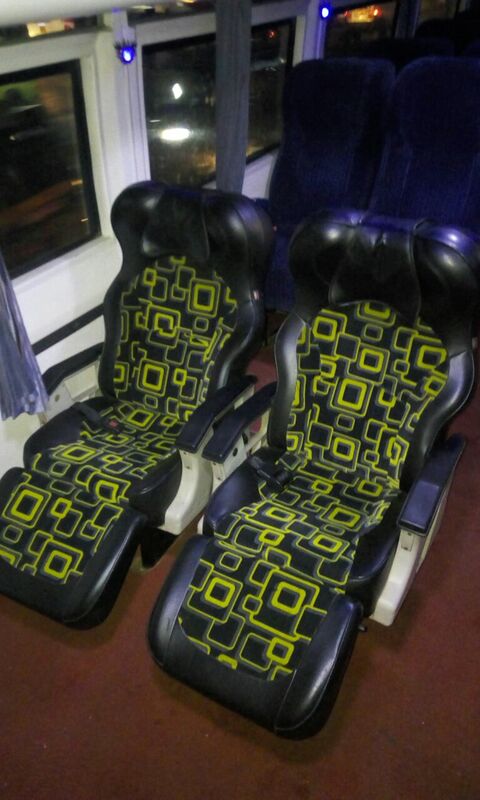 The Business and Economy class seats are of our own making and we install them ourselves. Business class is a much larger seat with a 2 by 1 configuration of 4 solitary seats and 4 paired seats. The only difference between this seat and the economy class seat is that it has a higher density cushion and lumbar support and is also much larger seat. VIP And Business Class travellers get Refrigerated Soda, Water and Bourbon Biscuits while Economy class get Refrigerated Water and Glucose biscuits. We have a stellar record in provision of these snacks and never has a bus been dispatched without snacks. 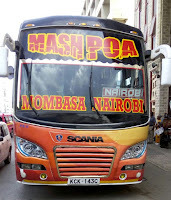 Our Buses are installed with free Wi-Fi and Charging Sockets. 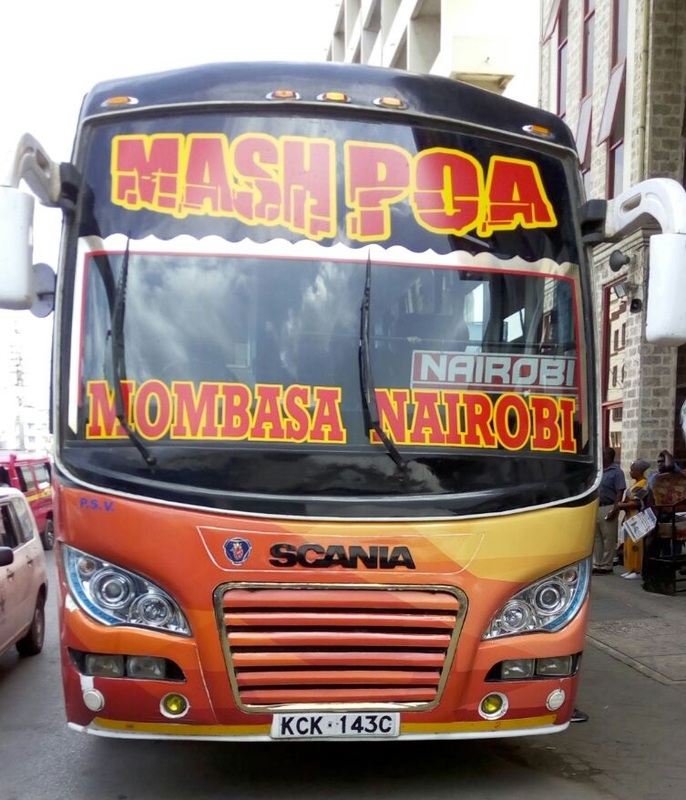 You will notice that at least each seat class has a pair, this is deliberately placed for friends wanting to travel together, couples, parents and children etc...we understand the need for such proximity. 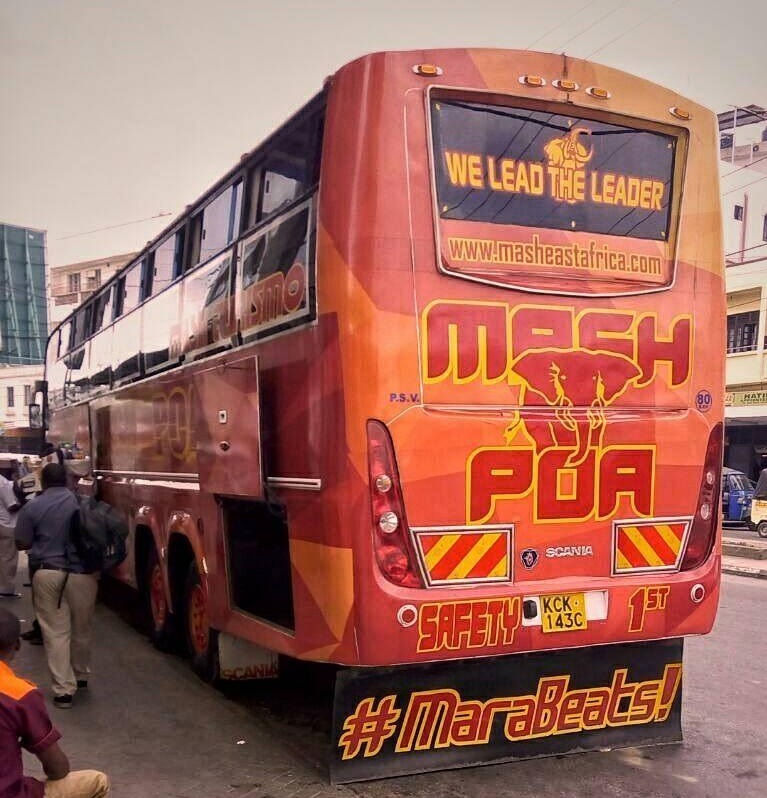 Make Your Bookings In Any of Mash East Africa Booking Office To Experience The World of Comfy With Mash East Africa, The Leader of All Leaders..
Mash East Africa, We Lead The Leaders..